Consider the Titans hot start officially frozen. And it isn’t even November yet. Sunday at home against a more prepared and intense Texans squad, the Titans were taken apart from the opening kickoff, and by the time it was over they walked off the field with a rather stunning 41-7 setback. The loss drops them to 3-3 on the year, this after they started 2011 with a mark of 3-1. Since then, they have lost to the Steelers and Texas, losing by a combined score of 79-24. The defense was again torched by the opponents offense. After a poor outing before the bye against Pittsburgh, they again were shredded, allowing Houston to go off for 518 yards and 27 first downs. 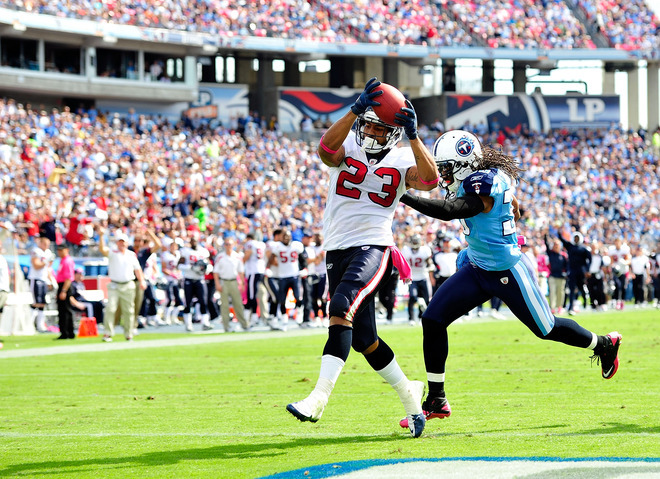 Arian Foster took care of the Titans all by himself, going off for a combined 234 yards with three touchdowns. He had a 78-yard catch and run for a score, and two shorts runs for touchdowns. Texans QB Matt Schaub was 18-for-23 for 296 yards with a pair of TD’s and a QB rating of 147.7 Titans QB Matt Hasselbeck was held in check, as he was harassed into going just 14-for-30 for 104 with a touchdown and two picks. First-round pick Jake Locker got into the game, going 1-for-1 with a 12-yard gain. It was his first appearance as a pro. The Titans offense held the ball for just 22:02, and was 2-for-10 on third downs. 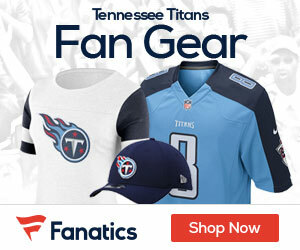 Compared to the Texans 518 yards, the Titans managed just 148 yards. Chris Johnson continues to have a season to forget, as the former 2,000 yard plus rusher had just 18 yards on the ground on 10 carries. Next week at home the Titans take on the Colts at 1pm EST. And now you know why Houston got rid of the Oilers! You can take the Oilers out of Houston, but no one will ever take the Oilers out of the Titans! Win No. 1 coming up for the Colts next week!